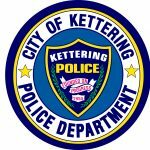 The Kettering Police Department is responsible for police patrol, criminal investigations, crime prevention/community relations and animal control. The department is comprised of 83 sworn officers and 26 civilian employees and enjoys strong support from the community. The police department is only one of a few its size to hold three concurrent awards of accreditation–law enforcement, jail and communications. The agency is the only one of its size to have an accredited communication center. The department has several special programs including a Citizens’ Police Academy. The academy is a ten-week program during which residents meet weekly to learn about their police department and get hands-on experience in various areas including the firing range and investigation techniques. This highly successful program, which allows residents to see how their tax dollars are being spent, is run three times a year and has had a waiting list since it began.